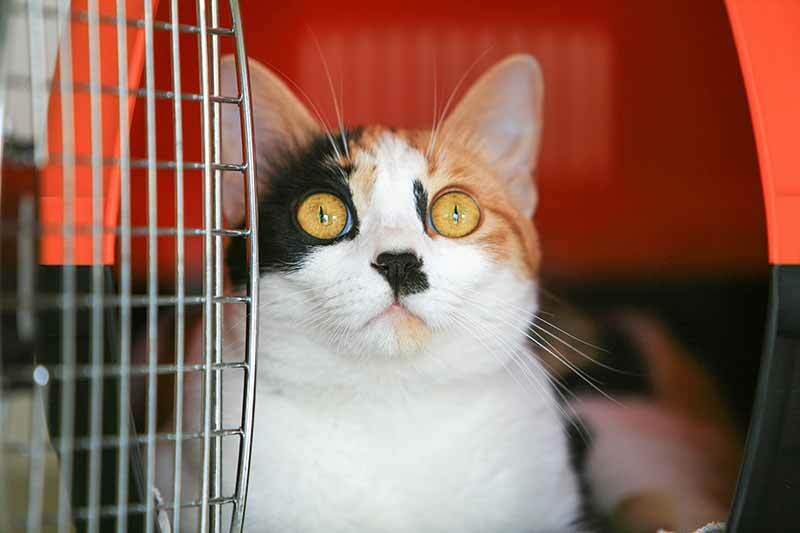 Do You Have a Plan for Your Pet During a Disaster? Most people accept the fact that terrible things can happen, but assume it’s more probable that they won’t. Sure, there are those that operate from a point of fear, but plenty of pet owners – not unlike their pets – live in and embrace the moment. Wherever you stand on the issue, the fact remains that having a plan for your pet during a disaster is better than the alternative. The good news? The Pet Experts have a few suggestions to get you going. Illinois doesn’t rank very high on the list of states with the most potential for natural disasters, but we are very high on the list of states that are prepared to handle them. Tornadoes, flooding, blizzards, and fires are no strangers in this part of the country, increasing the importance of disaster preparedness. Perhaps not surprisingly, pet owners do not generally take to the idea of leaving their beloved pets behind in the case of an evacuation. Good thing, too, as many pets that are left behind either perish or become separated from their loved ones forever. The ASPCA offers free stickers to place on your doors and windows to alert emergency personnel to their presence within the house. An effective and first defense against a lost or missing pet is to have them microchipped. This is not only practical for day-to-day living, but in extreme or unpredictable weather or other emergencies, microchipping your pet is critical. It’s common for animals to sense impending doom long before it lands on our radar. Storms, especially, are frightening for pets and cause them to hide. Knowing where to look for your pet is great, but the Pet Experts also recommend reinforcing fencing, gates, windows, and doors to reduce the chances of a fleeing pet. Preparation is the key to keeping your pet safe. If you are forced to evacuate, it’s crucial to know beforehand where you can take your pet during a disaster. Emergency human shelters do not typically allow pets. 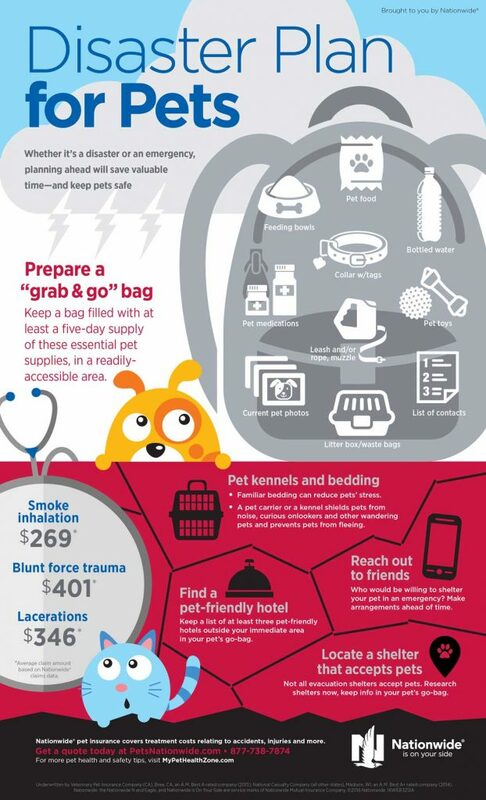 Research nearby hotels/motels that are either already pet friendly, or can relax their policies in an emergency. Ask friends or relatives within a few hours drive if you can lean on them if necessary. Wheaton Animal Hospital also welcomes boarding guests to stay with us when needed. Taking care to provide security and safety for your pet during a disaster is crucial to their survival. If you have any questions or need assistance acquiring the right supplies, we encourage you to reach out to us.